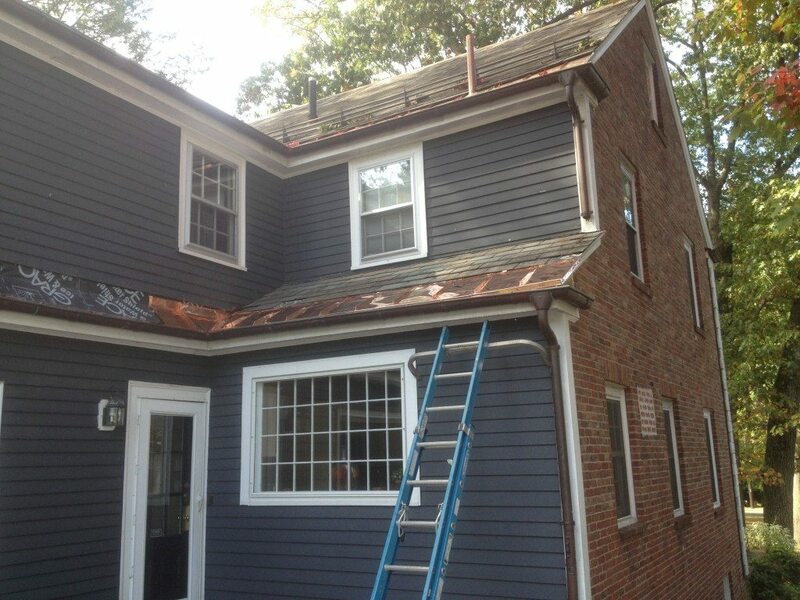 We are pleased to present this copper panel roofing job, recently completed in Newton, MA. Builders will use copper because of its appearance, its weather-tightness, flexibility. and fire resistance. Copper is initially more expensive to purchase, but is seen as a wise choice for longevity. The popularity of copper in architecture can be attributed to its durability, resistance to corrosion, attractive appearance and ability to form complex shapes. 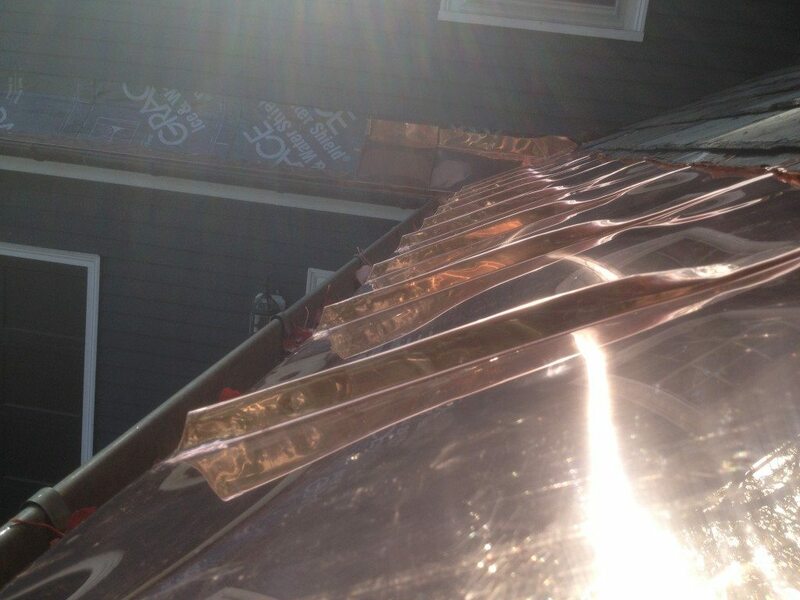 Historically, copper roof panels have been soldered, overlapped or seamed together. The panels may have formed edges that will add strength while providing a simple, water-tight way of joining adjacent pieces. We sent Tom over to get this job done. Tom takes great pride in the work he does. Metal roofing, such as copper, is a very specific science. The installer needs to have a basic understanding of metal roofing science. WIth proper education, sufficient practice, and a scientific mind, the craftsman can reach a level of permanence and beauty you would want on your home. Tom is just the guy to get that done! One of our specialties at Landmark Roofing is copper roofing. We offer installations to clients in Newton, Wellesley, Weston, Brookline, Sudbury and throughout Massachusetts. Copper roofing can be a great way to reduce energy consumption, lowering both monthly bills and environmental impact. Your insurance company may even give you a discount for having a copper or other type of metal roof. Aesthetically, copper roofs are versatile and can work with a wide variety of architectural styles. They also resist cracking and erosion, eliminating the need for maintenance in the future. 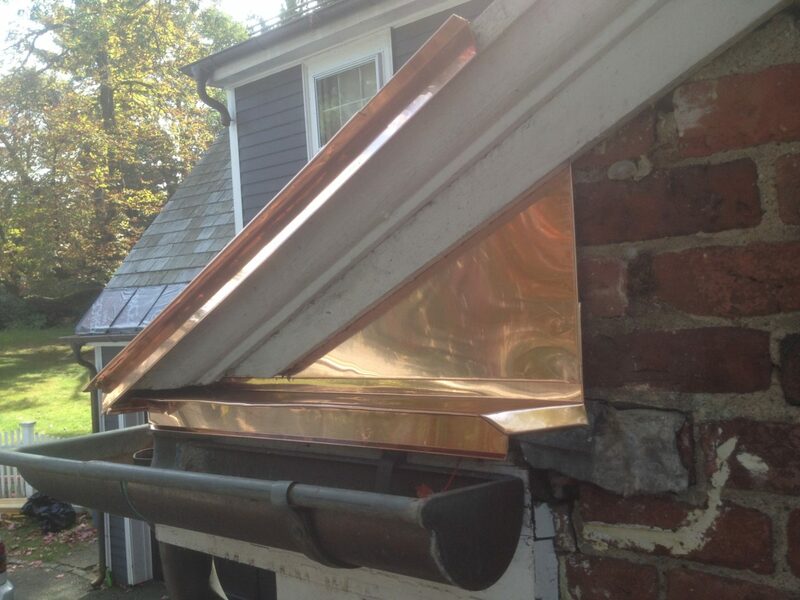 To talk to one of our staff and find out if a copper roof is right for your home, call (617) 965-ROOF (7663) with questions or to schedule a free estimate.